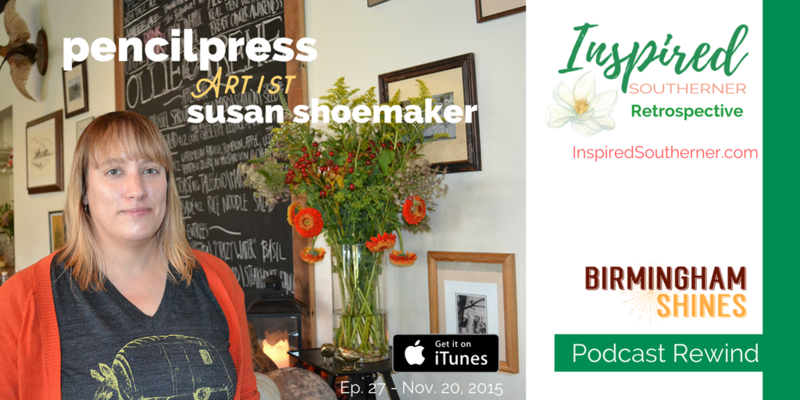 This week we’re rewinding episode 27 of the Birmingham Shines podcast featuring Birmingham mixed media artist Susan Shoemaker, who works under the name pencilpress. As it happens, Susan / @pencilpress / is the featured artist for this month’s Birmingham Artwalk downtown. Susan markets her work under the pencilpress brand, which connects to her college art studies in printmaking and her love of drawing. And she also presses hard with her pencil. Hence, pencilpress. Susan is known for her animal-focused art and she explains how she conceives and creates animal drawings, paintings and other works. We get into art-as-calling (a little bit) the creative process, art in schools and what it’s like to pursue art while working a full-time day job. Susan also explains how she gave up art for some years after college, while she worked full time, and then returned when she found that art was something that she could not let go. Susan also talks about some of the challenges that artists are facing—and they might surprise you. One is the challenge of dealing with bad weather during an outdoor art show. Another stems from the frequent requests that artists receive to donate their work for fundraising campaigns. This is something that the artist community, overall, is facing and working to address. We also talk about the challenge of pricing and value and perceptions of price, time, value and quality in the context of art AND food. Thanks to Chris and Ana Newsome for letting me commandeer a corner table at [the original location of Ollie Irene] at 4 p.m. one November Friday afternoon to record the interview and thanks to the house staff for being so accommodating with the request to turn down the background music a bit. Excited that Ollie Irene will soon be reopening in their new location in Crestline Village. This week’s rewind takes us back to East Lake Market, a small-but-vibrant farmers and crafters market operated by Peer, Inc., a nonprofit, in the parking lot behind East Lake United Methodist Church. One mission focus of Peer, Inc. is to provide healthy food for the East Lake Community and market opportunities for Alabama farmers. The interviews and commentary featured in this episode were recorded in June 2016 and the episode was released June 25, 2016. I usually pay a visit to East Lake Market every Saturday morning during season when I’m in town. East Lake Market is my first stop to pick the locally-grown produce that I don’t have on hand from my own Shine Springs Farm. Max Bellmore, a student in the Samford University Accelerated Nursing Program. Max is from Chicago. 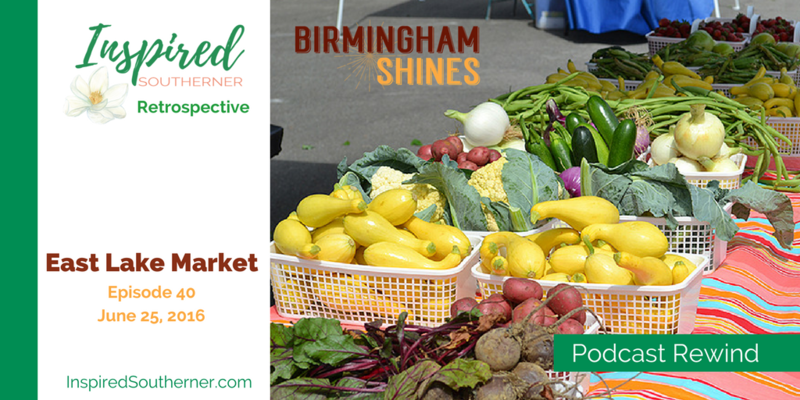 The East Lake Farmers Market is open on Saturdays from April through October and is located at East Lake United Methodist Church in east Birmingham, Alabama. 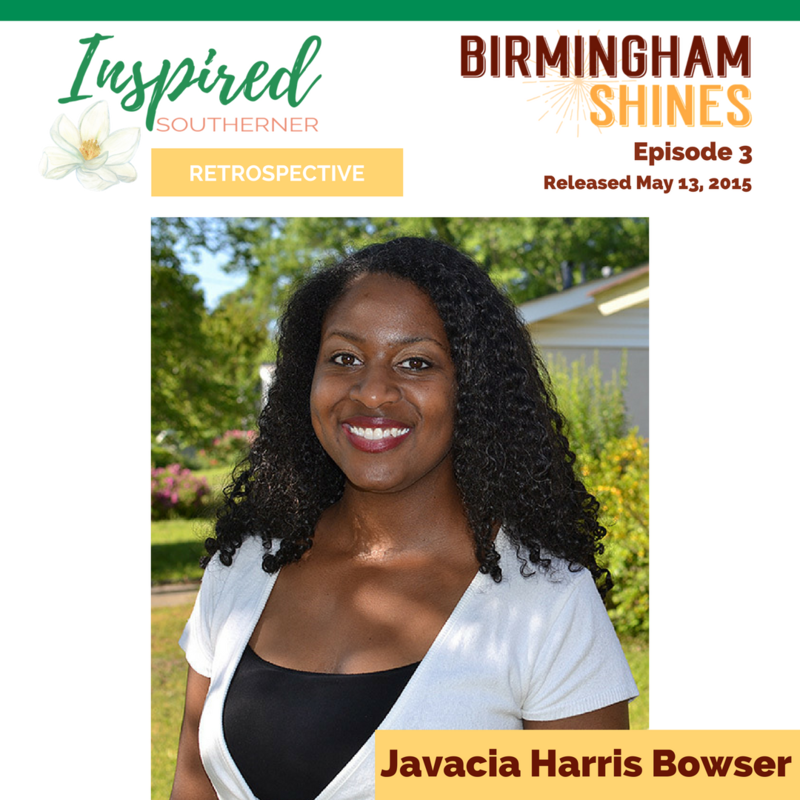 This week’s edition of the Birmingham Shines podcast retrospective series is a rewind of episode 3 featuring Sheree’s conversation with Javacia Harris Bowser. This episode was released on May 13, 2015.
women writers that has turned into a business. 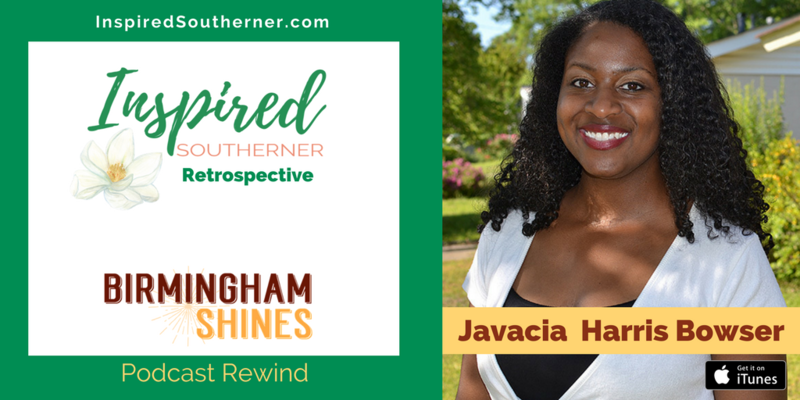 Javacia moved to Birmingham several years ago from Louisville, Kentucky to teach English at the Alabama School of Fine Arts. Before embarking on her teaching career, Javacia worked professionally as a journalist and she continues to do freelance writing work today. just a little bit. When you do, you usually find that it wasn’t so bad after all—especially if you’re taking little steps. No need to take up hang-gliding. Just send an email to someone you admire and don’t know and invite them to coffee. Take a different route home from work. Or maybe do your grocery shopping in reverse order from your usual routine. It’s pretty clear that Javacia is willing to take her own advice. When Javacia couldn’t find the type of writing group she was looking for, she decided to start one. The first “official” meeting of See Jane Write Birmingham was a simple dinner meet-up on March 24, 2011 at a Mexican restaurant in Birmingham. That meet-up led to a “next event,” which was all about using Twitter to network, connect with others and build a blogging audience. The successful Twitter event led to a blogging workshop and into one-on-one consulting and even bigger events. See Jane Write Birmingham has grown immensely in the four [now 6] years since that first informal meet-up and today Javacia offers consulting and online courses for women who aspiring writers and entrepreneurs. Find out more about the See Jane Write Birmingham story by listening to episode 3 of Birmingham Shines—if you haven’t already! I’ll echo this one—I got up before 5 a.m. to start writing this blog post [in 2015]. I’m a big believer in “early to bed, early to rise.” If you know me at all, you probably know how I go on all the time about Ben Franklin! Southern Makers an event, which celebrates southern creativity, came to Birmingham for the first time last weekend. 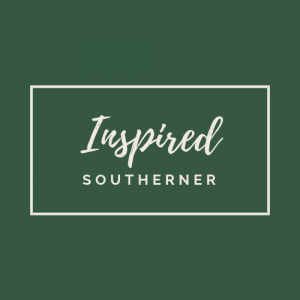 Some of the best-of-the best southern artisans, creatives and makers who participated in the event showcased what makes them so special. I am personally thrilled to see a renaissance taking place in our culture where we have events like this that celebrate what makes southerners southern. Sheree Martin of Birmingham Shines and I attended the event to find out why we love celebrating southern culture. We found unique products at the exhibitor booths that ranged from locally produced honey, to handmade leather goods to an on site barbershop to beautifully hand blown glass. 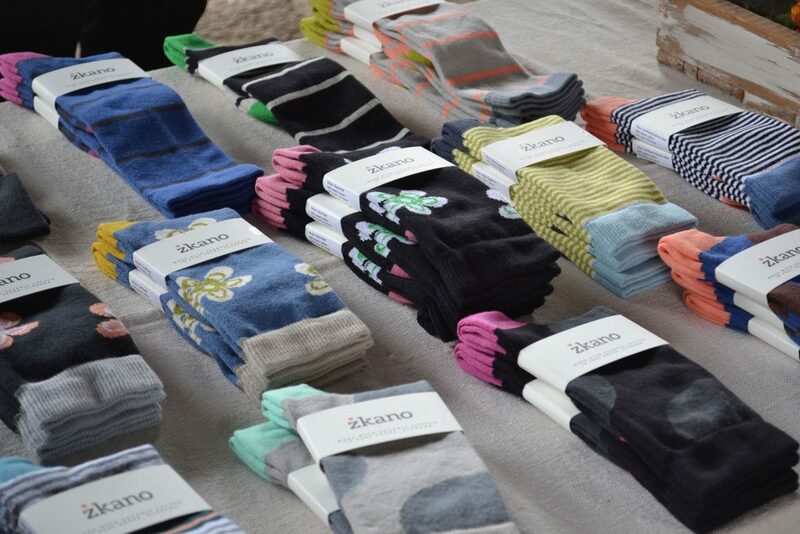 It was good to see familiar faces like Redland Cotton from Moulton, Alabama, Zkano Organic Socks from Ft. Payne, Alabama, Billy Reid of Florence, Alabama and Alabama Sweet Tea of Montgomery, Alabama. It also was fun to be introduced to new vendors like Lucy’s Inspired, a Birmingham jewelry company selling jewelry that tells a story, George Jones (not that George Jones) the broom maker and Debra Riffe, a linoleum block and woodcut printer. Alabama breweries also offered samplings of their beers at the show. Breweries and craft beers have offered big entrepreneurial opportunities in Alabama after the law was changed in 2011 lifting restrictions on alcohol content in beer. 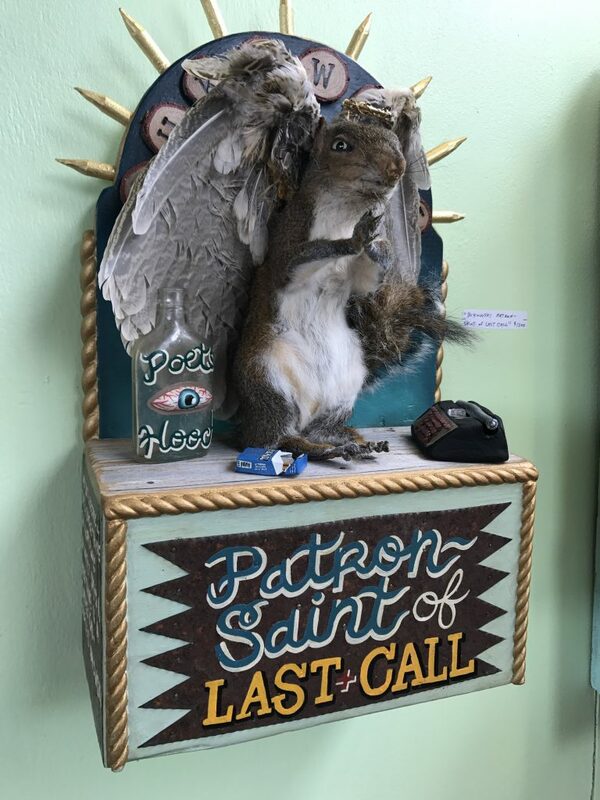 Perhaps the most intriguing vendor to me however, was the “Jackalope Queen” by Bunny Lane a New Orleans Taxidermy artist who displayed mutant rabbits dyed pink with unicorn horns. Who remembers the movie Hope Floats? The mother in that movie was a taxidermist whose home had the animals she preserved on display. You have to imagine the art display in that context, but a little more colorful. Bunny’s work can be seen in her gallery on Royal Street in the French Quarter in New Orleans. For lunch I had a mascarpone grilled cheese with bacon and blueberry jam sandwich from Odette’s a café out of Florence, Alabama. It was wonderfully tasty and I paired it with Alabama’s Sweet Tea. I have wanted to eat at Odette’s every time I am in Florence, but have not had the opportunity. The highlight of the day was a performance by The Pine Hill Haints of Muscle Shoals, Alabama. I would classify the band as a cross between a Cajun band and a rockabilly band. However, they describe themselves as a honky-tonk country band playing Alabama Ghost Music. 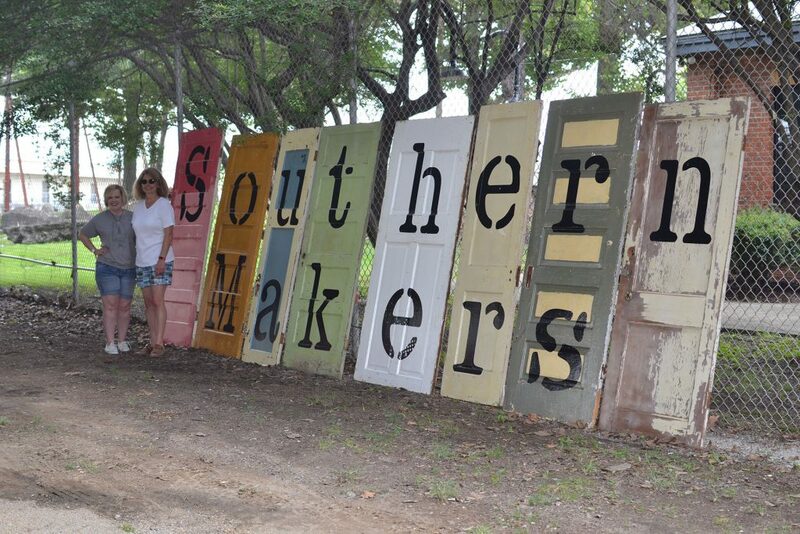 It is inspiring to see such an emphasis and celebration being placed on Southern makers. We too rejoice that we were able to discover a wealth of creativity and entrepreneurial spirit in these makers living in the South. 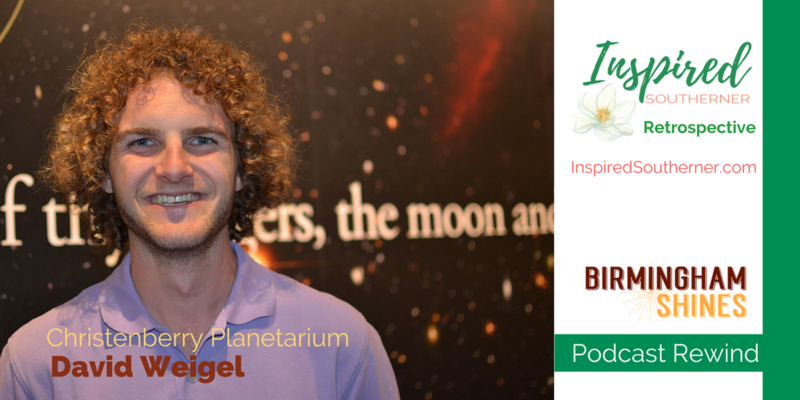 To celebrate the upcoming total solar eclipse we bring you a Rewind of Birmingham Shines podcast episode 8, featuring David Weigel, Director of Christenberry Planetarium at Samford University, and an avid outdoors guy who loves rock climbing all around Birmingham and the South. This episode was released as a bonus episode of Birmingham Shines on June 15, 2015. 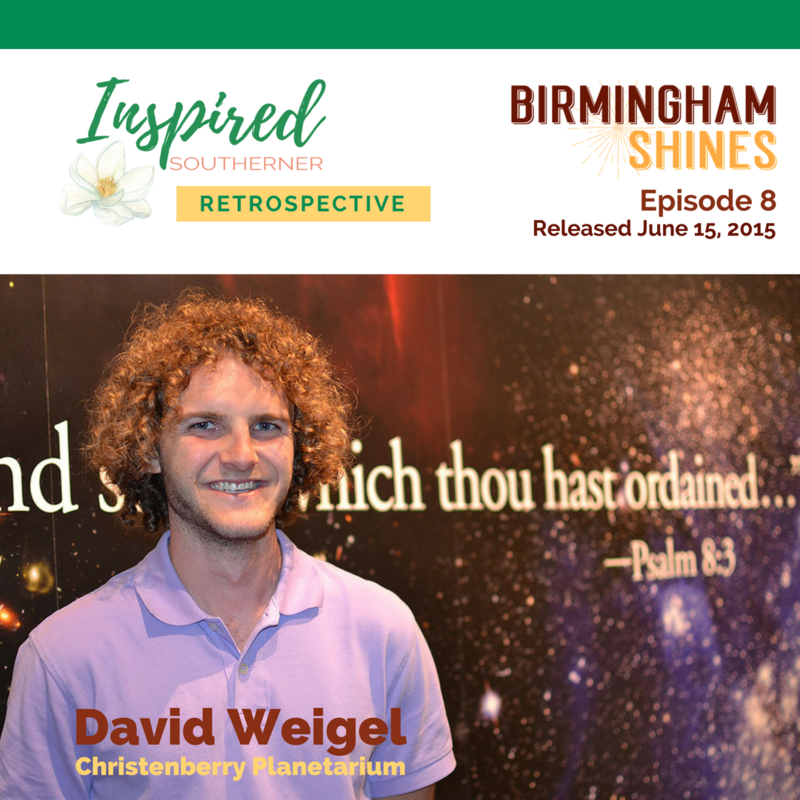 In it, David and I (Sheree) talk about recent discoveries, a bit of astrophysics, and what Birmingham has to offer those who love to spend time in outdoor recreation. Read more about David Weigel in this profile from Samford University.